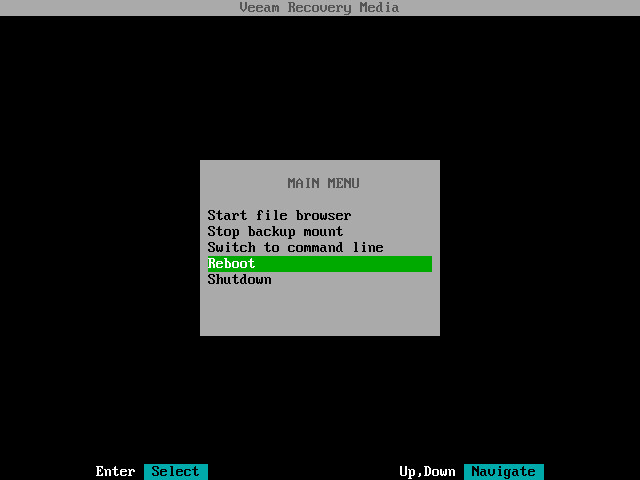 When the restore operation completes, finish working with the Veeam Recovery Media and start your operating system. Eject the media or removable storage device with the recovery image. In the File Level Recovery wizard menu or Veeam Recovery Media main menu, select the Reboot option and press Enter. Wait for your Linux operating system to start.